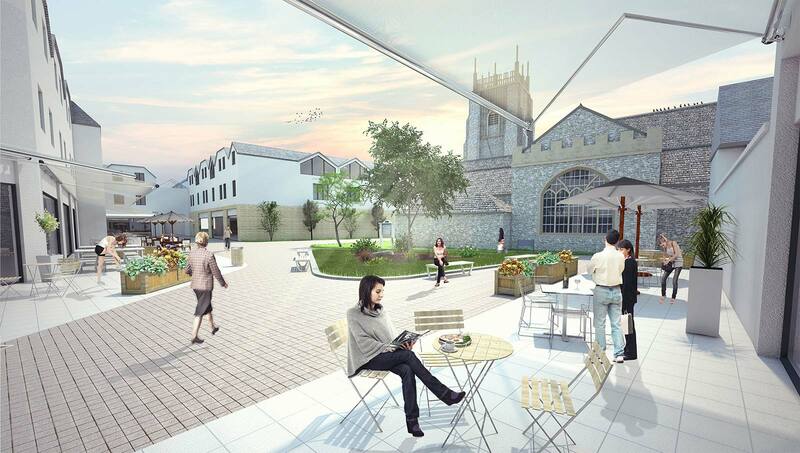 A vision for the regeneration of the Riverside Shopping Centre, surrounding historic market square and Abbey Park by re-stitching the existing centre back into the townscape. This involves opening up the existing centre with significant public realm improvements and better pedestrian linkages. The public realm provides the opportunity for 16 enhance retail units, and new restaurants to create new activity. 123 residential dwellings; 78 room care home overlooking the park and a 40-room hotel in the Market Square add to the vibrant new mix of uses.